Who Determines When Messiah Will Appear? The Time Has Come for God to Reveal the Messiah, Says Jerusalem’s Chief Rabbi. This is the headline of a November 13th article posted by columnist Rivkah Lambert Adler in the on-line news source Breaking Israel News. Your reaction to what the author labels a “surprisingly under-reported story” might be: (1) The Chief Rabbi is simply imploring God to bring Messiah to Israel soon, because this is the passionate prospect of rabbis and Jews in Israel and the world over. 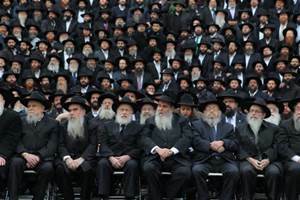 (2) Jerusalem’s Chief Rabbi is saying that God is obligated to reveal Messiah … the sooner the better. If you chose option number two, you would be correct! With the clear connotation that God really has no other choice but to comply with this ruling. Breaking Israel News is one of a few Jewish internet news and/or religious sites that have recently published several columns pertaining to the exponentially growing hope for Messiah’s arrival in Israel; thereby, to accomplish Israel’s ultimate redemption and to rescue them from their many enemies. Accordingly, BIN has quoted several Rabbis who have commented (with varying degrees of agreement, disagreement, and some prophetic inconsistency) on Messiah’s imminent appearance. Whether the religious or even secular interest in Messiah’s arrival is at least somewhat based on Scripture or not, I have identified this remarkable trend as one of the phenomenal consequences of the twelve modern-day indicators that clearly signal the last days of the end-times. Please see the Eye of Prophecy articles entitled, Look Up, Redemption is Near Part I & II, posted 7-11-15 and 7-18-15. It Is Not Kept In Heaven! Astonishing! Is Rabbi Kaploun’s reply correct? Is it legitimate? Is the axiom quoted by the Rabbi—obviously supported by many other Rabbis and Jewish leaders—found somewhere in the Bible; specifically in the Torah, which is the first five books of the Old Testament, considered superior even to the rest of the Jewish Bible (Old Testament) by most Orthodox Jews? Either Breaking Israel News didn’t feel qualified to challenge this stunning verdict nor the explanation given as to its justification; or they chose not to, as it undoubtedly would result in a much longer article than intended on the subject. Most likely it was a combination of the two. If there is an answer regarding the Biblical authenticity and accuracy of the rabbinical premise (axiom) that warrants such a bold edict, would you like to know what it is? If your answer is, No, then there’s really no reason for you to continue with today’s Eye of Prophecy article! But if you want to know more about Messiah and whether God is obligated to reveal him because the Heavenly Court is bound by decrees of the (Jewish) earthly court, then stay with us. The answer is both yes and no. Yes, the axiom (one of hundreds of extra-Biblical traditions and commentaries handed down through the ages by Jewish Rabbis primarily recorded in the Talmud) is derived from a passage in the Torah. No, it is not, by any stretch of the imagination, an accurate application (interpretation) of the passage that purportedly transfers God’s authority to men, be it a rabbinical council or not … especially not the timing of Messiah’s arrival (return). The passage is found in Deuteronomy, and contains what the Rabbi would only describe as “the axiom” which has been given precedence by Jewish sages as the traditional rendition down through the ages over the clear content and intent of the text, itself. “Now listen! Today I am giving you a choice between life and death, between prosperity and disaster. For I command you this day to love the Lord your God and to keep his commandments, decrees, and regulations by walking in his ways. If you do this, you will live and multiply, and the Lord your God will bless you and the land you are about to enter and occupy” (Deuteronomy 30:11-16, italics for emphasis). Moses then summarizes this magnificent message that God said was not (no longer) confined to heaven (to God alone); but a message that had, indeed, been liberally and lovingly given to his people. One that could immediately and logistically be placed in their hearts and expressed by their lips … if only, they would trust and obey the Lord their God. “Today I have given you the choice between life and death, between blessings and curses. Now I call on heaven and earth to witness the choice you make. 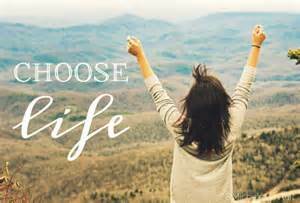 Oh, that you would choose life, so that you and your descendants might live!” (Deuteronomy 30:19). It was faith (trust) in God’s Word (commandments) and the Levitical sacrificial system of shedding innocent blood for forgiveness of sins that would lead to obedience. This principle (message) had been clearly demonstrated by God through Abraham long before the Law was given through Moses to the people. “And Abram believed the Lord, and the Lord counted him as righteous because of his faith” (Genesis 15:6). Who Is Obligated to Whom? Whereas, I’m certain that the 6,000 Jewish Rabbis/leaders who attended this conference and many other Jews who share the same convictions were respectful toward God in their enthusiasm for Messiah’s (immediate) appearance; they, nevertheless, misunderstood, misapplied, and inappropriately substituted the real meaning of this stirring passage of Scripture with one of their traditional interpretations. Read the passage again. Where do you see or how is it possible to conclude that God is obligated to send the Messiah based exclusively on their presupposition that the Lord (apparently) relinquished heavenly authority to the Jewish leaders (earthly court) when God gave them the Torah? Or, for that matter, that God must comply with any ruling—whether found in the Torah or not—of chief Rabbis that once consisted of seventy members of the ruling body known as the Sanhedrin? The context of this passage is crystal clear. Both prosperity and continued presence (existence) in the Promised Land of Israel and life everlasting depended upon whether the people trusted and obeyed God; thereby, choosing life. Or abandon the Lord their God and go their own way; thereby, choosing the horrible alternative, death. Since it was already all too evident that everyone must die physically, the text is referring to the eternal spiritual destiny of the people, but also their continued right to live collectively as a nation in the land. For sure, the Abrahamic Covenant was unilateral … God’s promise that (invariably or inevitably) the land promised to Abraham, Isaac, and Jacob and their descendants was in perpetuity. But equally evident is that the people would suffer the ultimate penalty of God’s judgment (curses rather than blessings) if they rebelled against the Lord and rejected his commandments. This was a foregone conclusion; so much so that several passages in Exodus, Leviticus, and Deuteronomy, warning Israel about the consequences of disobedience, are written as though they had already happened. It was not a matter of if, but when. In fact, Moses subsequently announces this (directly from the Lord) when he in the frankest of terms states: “For I know how rebellious and stubborn you are … I know that after my death you will become utterly corrupt and will turn from the way I have commanded you to follow. In the days to come, disaster will come down on you, for you will do what is evil in the Lord’s sight, making him very angry with your actions” (Deuteronomy 31:27-29). The Law was given to establish God’s standard of holiness and right action expected of his people, for their own good and welfare. It was also intended to show them than no one, absolutely no one (including the most religious priests or rabbis) could or would keep God’s laws. The Lord’s incredible patience gave them hundreds of years to prove to him and themselves that they could keep God’s Word. But they couldn’t … they wouldn’t. Thus, God exiled them to Assyria, to Babylon, and ultimately to nations the world over in the disastrous Diaspora when the Romans ransacked Jerusalem and utterly destroyed the second Temple, thus ending the Sacrificial system of atonement. But by that time, God had initiated the New Covenant that he promised to his people (and the whole world), a covenant purchased and sealed with the innocent blood of God’s very son, Messiah Jesus. Yes, the one and only Messiah, who many refused to recognize, then and now. Many Eye of Prophecy articles have included Biblical and historical evidence to validate the birth, life, teachings, death, and resurrection of Jesus of Nazareth as the Messiah. As have countless other books, articles, messages, commentaries, and the testimony of millions of believers the world over—including thousands upon thousands of Messianic Jews and their life-changing, destiny-altering personal decision to believe and receive Yeshua (Jesus) as Lord and Savior. As clearly reflected in some Eye of Prophecy articles, my love and passion for Israel—the Jewish people’s physical return to their God-given land and their soon-to-be nation-wide spiritual restoration to their Lord when they fully recognize and acknowledge Jesus as Messiah— constrains me to express this compassion by sharing the truth of the source of their salvation. 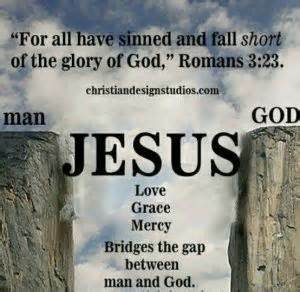 “For there is only one God and one Mediator who can reconcile God and humanity—the man Christ Jesus. He gave his life to purchase freedom for everyone. This is the message God gave to the world at just the right time” (I Timothy 2:5-6, italics for emphasis). ‘The day is coming, says the Lord, when I will make a new covenant with the people of Israel and Judah. This covenant will not be like the one I made with their ancestors … They did not remain faithful to my covenant, so I turned my back on them says the Lord. But this is the new covenant I will make with the people of Israel … I will put my laws in their minds, and I will write them on their hearts, I will be their God, and they will be my people’” (Hebrews 8:6-10, italics for emphasis; see Jeremiah 31:31-34). At God’s appointed time (just the right time in history) Messiah came to this earth as the Lamb of God who died for the sins of the world. 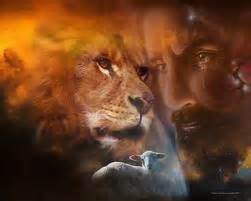 At just the right time, Messiah Jesus will return to this earth as the Lion from the tribe of Judah to make all things right on this weary, war-torn, terror-filled earth. But Yeshua HaMashiach (Messiah Jesus) will come when he and God the Father chooses … when least expected, with the day and hour known by no one until it happens (Matthew 24 & 25). It is no different today, with millions of God’s chosen people, the Jews, still holding onto good deeds, righteous conduct, and tradition after tradition to gain favor with God, and to hopefully be accepted by the Lord into and throughout eternity. To the tragic point that their traditions, especially the Rabbinical rulings or decisions (often with disagreements among rabbis, themselves), become more dominant and decisive than Scripture, itself. Jesus recognized this and bluntly told the Jewish religious leaders in words of what we would call, in today’s jargon, tough love. We know Jesus loved his people more than we can imagine; not only because of what he constantly said (words of love and life) and did (miracles of healing and helping) but most of all because he died for them to save them from their sins. Said Jesus: “You hypocrites! Isaiah was right when he prophesied about you, for he wrote, ‘These people honor me with their lips, but their hearts are far from me. Their worship is a farce, for they teach man-made ideas as commands from God.’ For you ignore God’s law and substitute your own tradition … You skillfully sidestep God’s law in order to hold on to your own traditions” (Mark 7:6-9). Jesus then provided an example of how the Pharisees and Sadducees and teachers of the law didn’t even keep the law of honoring their father and mother. By quoting the prophet Isaiah, Jesus was also referring to our central passage from Deuteronomy Chapter 30 regarding God’s primary message to his people—forgiveness and righteousness is graciously given if they would only choose to trust the Lord … choosing life over death. For to trust is to listen and obey. Moreover this message had been freely and generously extended to them from heaven and could be readily understood in their hearts and expressed with their lips. “And that message is the very message about faith that we preach. If you confess with your mouth that Jesus is Lord and believe in your heart that God raised him from the dead, you will be saved. For it is believing in your heart that you are made right with God, and it is by confessing with your mouth that you are saved … Jew and Gentile are the same in this respect. They have the same Lord, who gives generously to all who call on him. For, ‘Everyone who calls on the name of the Lord will be saved’” (Romans 10:5-13, quoting Joel 2:32). This is what the New Covenant, the Good News of the Gospel, is all about. Faith, not works. Trust in God’s Word which is revealed in both Old and New Testaments (Covenants), not traditions. We can joyfully celebrate (remember) traditions such as Sukkot (Festival of Shelters) but we are not to trust in them for salvation … being made right with God. Any more than Abraham was made right with God hundreds of years before the Law was given, by anything other than believing and trusting in the Lord God. “…I want you to understand that the gospel I preach is not based on mere human reasoning. I received my message from no human source, and no one taught me. Instead, I received it by direct revelation from Jesus Christ. You know what I was like when I followed the Jewish religion—how I violently persecuted God’s church. I did my best to destroy it. I was far ahead of my fellow Jews in my zeal for the traditions of my ancestors. But even before I was born, God chose me and called me by his marvelous grace. Then it pleased him to reveal his Son to me so that I could proclaim the Good News about Jesus to the Gentiles…” (Galatians 1:11-16). Like the Apostle Paul, and hopefully as much like my Messiah and Savior Jesus as possible, I, too, have a deep concern for Israel’s physical and spiritual restoration, and share their great expectation for Messiah’s arrival. Which is why I write so much about Israel’s miraculous rebirth and other remarkable events that unmistakably point to the imminent return of Messiah. That they would as Jesus said: “So when all these things begin to happen, stand and look up, for your salvation (redemption) is near!” (Luke 21:28). Indeed, many Jews—Orthodox, Reformed, Conservative, and Liberal—are eagerly looking for their redemption. But, adapting from the words of the song, “They’re looking in all the wrong places.” If only they would look to their own prophets (Scriptures) and to the New Covenant (Testament); they would find their Messiah, who is Yeshua … The Son of David, The Son of Man, and the Son of God. But there are times like today’s Eye of Prophecy post, that I’m also compelled to challenge rabbinical traditions substituting for or taking precedence over the Bible, as well as misuse of Scripture itself. We find both of these occurring in this misguided rationale for the ruling based on the equally erroneous supposition that God’s Torah message to his people was tantamount to God relinquishing (heavenly) authority to the earthly court; which, in turn, mandates God’s compliance with such rulings. I’m sure the Rabbis have the utmost respect for God. That they did not willfully intend to usurp God’s divine authority by telling him that it is time for Messiah to appear, especially or exclusively because (they think) such authority was given them to make such a ruling. Rather, they mistakenly reverted back to an axiom that was inaccurate in the first place, much like the one the Roman Catholic Church has copied/borrowed from Judaism: that the religious hierarchy is empowered to issue decrees and rulings that directly or indirectly contradict Scripture. That traditions created and added by Jewish religious leaders (elite) and later the Roman Catholic clergy (Vatican) supersede even the Bible itself. Neither Deuteronomy Chapter 30 nor any of the Torah conveys that kind of authority at all. It’s just the opposite. It’s everyone’s responsibility—including (especially) those in authority—to listen, to comply, to respond, to make a decision whether to trust and obey God or not … to choose life or death. To opt for blessings or curses. And this mostly certainly means replacing the Old Covenant with the New; because God, himself, as already done that through none other than the Messiah. Now that the Old Covenant has been exchanged for the New Covenant, that Grace has replaced Law, to exercise the choice of believing in a Messiah who has already arrived; thereby, choosing God’s eternal pardon for their sins and assurance of live everlasting with the Lord and the host of heaven. Do I and millions of other believers ardently anticipate the imminent return of Messiah Jesus to establish his glorious kingdom of righteousness, justice and peace (Shalom)? Indeed, we do; but only because of what the Bible, both Old and New Testaments, tells us. Not because of an Orthodox Jewish ruling that requires God to act accordingly. Yet out of admiration for the sincere enthusiasm expressed by Jewish Rabbis and many Jews (and Gentiles), I truly hope that they are right about Messiah’s any moment (re)appearance. On the other hand, I earnestly hope and pray that they will acknowledge Yeshua as their Savior now, before it’s too late … before he returns as both King and Judge. With respect and love for the hearts and souls of these Jewish Rabbis and for Jews everywhere, I must caution them: Be careful what you wish for. It’s true that Messiah will bring redemption to Israel; in fact, he already has done that individually … to every Jew and Gentile who places their personal trust in his once and for all atoning sacrifice on the Cross. The national redemption spoken of in Scripture and often mentioned by observant Jews in today’s world will come at a great price, identified in Scripture as Jacob’s troubles, during the ruler’s march against Israel (Daniel 7, 9, 11, and graphically depicted by Zechariah 11 through 14). So great a salvation will be available only to those who recognize and accept the one whom they (for they are the same as their ancestors) pierced, as prophesied by Zechariah. “Then I will pour out a spirit of grace and prayer on the family of David and on the people of Jerusalem. They will look on me whom they have pierced and mourn for him as for an only son. They will grieve bitterly for him as for a firstborn son who has died” (Zechariah 12:10). Pay special attention to the pronouns in this remarkable prophecy. Who is speaking (“then I…”)? “I” is the same “me” whom they pierced. Messiah is speaking. 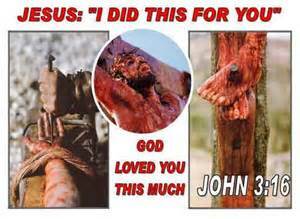 This is referring to none other than Jesus of Nazareth who was nailed to a cross and “pierced” for our transgressions (Isaiah 53:5, NASB). “Rabbi … we all know that God has sent you to teach us. Your miraculous signs are evidence that God is with you” (John 3:2). Jesus of Nazareth replied to Nicodemus: “I tell you the truth, unless you are born again, you cannot see the Kingdom of God” (Verse 3). This esteemed member of the powerful Sanhedrin became a believer in Jesus; because he set aside his traditions long enough to listen. He opened his eyes, ears, and heart to the written and Living Word of God, and realized that Jesus is the Messiah. This belief would be conclusively confirmed when Jesus arose from the tomb where Joseph of Arimathea, another member of the Jewish High Council, and Nicodemus had buried him. 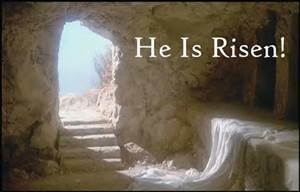 The tomb is empty to this day! “Jesus told her, ‘I am the resurrection and the life. Anyone who believes in me will live, even after dying…’” (John 11:25).